Surviving a disaster is not only about having an emergency supply kit that contains a 30-day food supply, portable water purification system, miscellaneous accessories and a first aid kit, it is much more. This simplified guide on Emergency Supply Kit article will provide you some valuable insights into other aspects that you may have not necessarily considered. It’s about knowing what to do with the Survival Kit and how to use it rationally. This article will provide an overview and what it takes to survive a disaster of apocalyptic proportions to a small localized earthquake. One can never know what the next day will bring, and that’s a fact. The simple truth is that we live in an age of disasters, lurking in all corners. There is no telling when a natural or man-made disaster will occur. The worst thing is that there is no safe-haven, no place in the world that can be considered truly safe. There aren’t guarantees to avoid or remove the next 09/11 or the next Hurricane Katrina. The only thing left to do is to be as prepared possible for when disaster strikes. What will be? When will it happen? Will it be man-made or natural? These are all questions that one can only speculate. In any case, you should prepare for a any one of these potential disasters. The US’s Federal Emergency Management Agency, FEMA has extensive support material available explaining how to prepare and react to various types of disasters. The remainder of the article has a summary of the information provided. Emergency experts recommend having a 30-day food supply readily handy as part of any LifeSaving Survival Kits. When calculating the food quantity, it would be wise to add at least two additional people to determined the volume. This would provide enough food to sustain everyone for at least 30 days. When determining the food variety be sure to take into account the different needs of any infants and young children. The California Department of Public Health Website has some really good guidelines to what should and should not be included. Make sure to include supplementary vitamins and minerals required by the average human needs. In preparing any emergency food supplies, ensure that the food has a long shelf life as well agreeable for all to eat. For example, some people may be allergic to anything that contains peanuts or its extracts. Over the last few years, food technologists have developed new means to store food for many, many years. 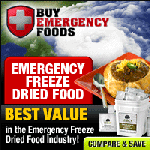 I have found the Emergency Foods a great organization to buy and replenish stock. Go to their site Emergency-Foods to buy some now. Aside from disaster shelters, access to clean water is the second most important thing in the case of natural or any other emergency. Storing several barrels of water is part of survival 101. No emergency supply survival plan is complete without water supplies nor with a reliable filtration and purification products from the either SureAqua or GoFreshWater product range. The Basic Survival Kit has everything you need to survive while still in or around your home. It involves stock such as multi-purpose tools, flashlight, personal and sanitation items, pain killers, bandages and so on. The Hiking Survival Kit includes stock that one might use while staying in the woods. This kit includes plenty of the stock found within basic survival kit. In addition to that it includes a hunting knife, small axe, water purifier, signal mirror, whistle, backpack, food rations, dry matches, sleeping bag, raincoat, extra clothes, and compass. Either above or below ground, most pre-manufactured disaster shelters are designed to have space for storing food, water, medical aids and other survival kit items. Emergency shelters not only can serve as a protection from natural disasters, they can also be used as hiding places in case of riots, war or civil unrest. This kit is much similar to the Hiking Kit, but with few more additions such as small animal traps, fishing lines, a hunting weapon such as a hunting rifle or crossbow, binoculars, etc. Anything that could come handy in locating and hunting an animal that is eatable. Even though there are plenty of kits that are sold as such, the Henry Survival Kit remains one of the most popular ones. But, when it comes to emergency supply survival kits they are only as useful as the person using them. One needs to be familiar with every item, how to use it and how to make the most of it. Without that knowledge, not much will be achieved. 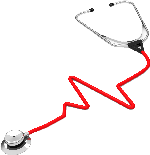 Ideally, you should attend an introductory first aid course. If you are not able to attend a First Aid course physically, why don’t watch a first aid training video, there many available on the web. Important you will need some first aid equipment to use to practice why not try 1-800 Prepare. They have a wide range of first aid kits.